WIKITOPIA 2016: Surveillance & Privacy in the Post-Snowden Era will be a three-day mini-festival hosted by Videotage and co-presented by Goethe-Institut Hongkong on 13-15 May 2016, followed by ISEA2016 (International Symposium on Electronic Arts), a world-renowned art and technology centred event on 18 – 22 May, 2016. WIKITOPIA 2016 is comprised of several activities, including keynote speeches, panel discussions and hands-on workshops, all of which are open to the public for free. The main goal and direction for organising such a festival is to increase the awareness of the general public who might have no knowledge or awareness of the existing surveillance schemes or privacy issues prior to participating WIKITOPIA 2016. By inviting artists, ICT (information and communications technology)/media activists, thinkers, curators, technologists, etc. 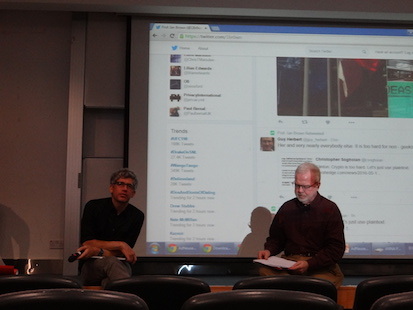 from Hong Kong, Germany, the USA and other regions of the world, we encourage an all-around and in-depth discussion with the local audience, as well as the attendants of ISEA2016 from other countries, on the topic of surveillance and privacy, from the artistic, ethnic, social, political, technical, cultural perspectives, etc. 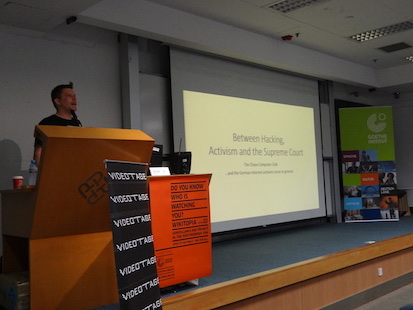 10am | Keynote by Linus Neumann: Digital self-defense: The Chaos Computer Club between Hacking, Activism and Courts.